We commented on this a while ago, but we got an email earlier today that said Citigroup is going to go ahead and lay off as many as 5-10% of their workforce. This is less than the 45,000 workers we heard about during the first wave of rumors, but that still puts it in the neighborhood of 30,000 people. Then this small item hit the wires this afternoon. Request to our readers: does anyone else have any info, especially related to timing? Will these layoffs becoming this month or after the new year? Are the rumored numbers correct? And are any other banks considering similar moves? 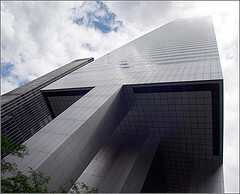 It would stand to reason, if Citi is cutting that much of it’s workforce, other banks must be feeling similar pressure. Citi is the 800 pound gorilla, after all. We promise to keep you anonymous if you do send in a tip we can share. Aaaand… a flood of emails from this Techcrunch post. Ok, it’s only 12 people, but it looks like the financial contagion is spreading even to financial journalism circles. Anyway, what do you think about make?